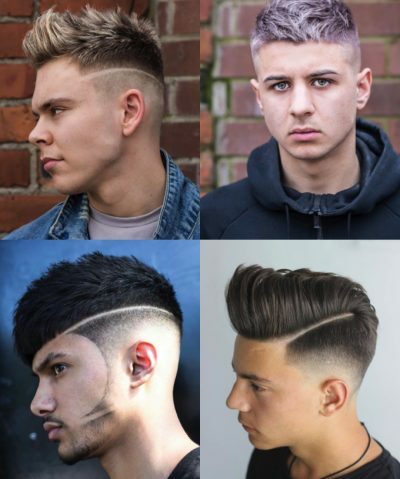 We’re sure that you’ll nod in agreement when we say that fade haircut is a phenomenon that’s taken the world by storm. Everyone seems to be captivated by it! Though, we’re not really that surprised: it’s a masculine look that’s trendy, unique and clean. What’s not to love, right? 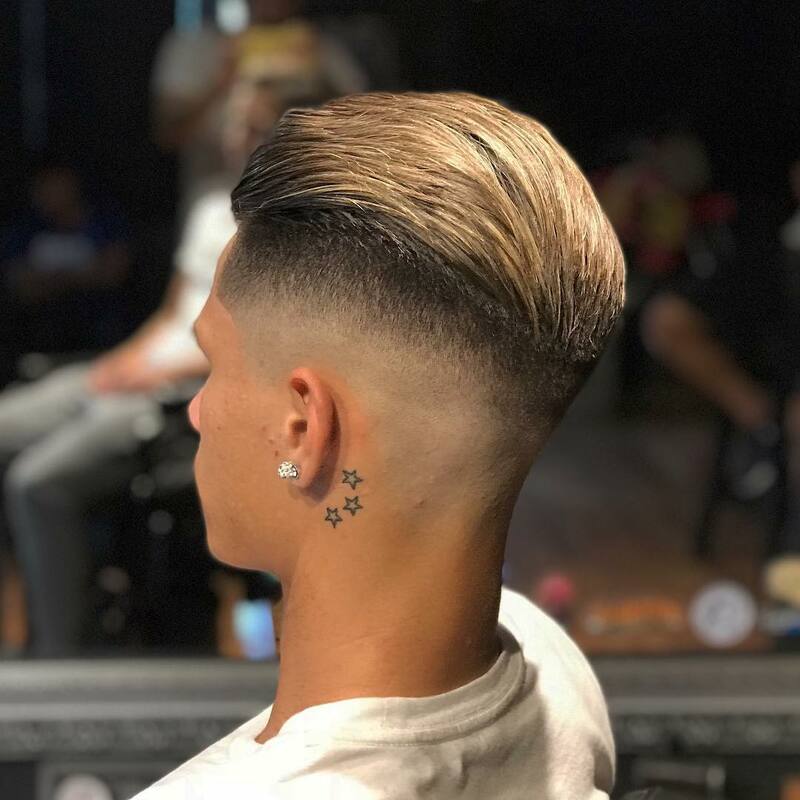 From teenage boys to the highest paid footballers (think Cristiano Ronaldo and David Beckham), a fade haircut has found a place on the heads of quite a few gentlemen. 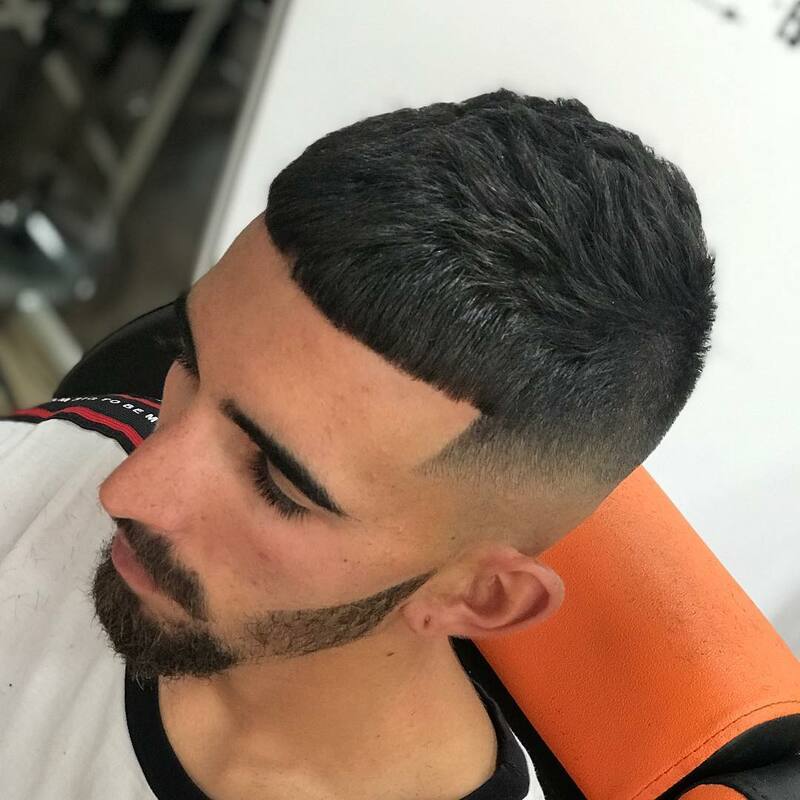 One of the best things about it, is that fade haircut styles aren’t exclusive and can look good on the majority of face shapes and hair types, which is probably why many choose it as their next hairstyle endeavour. 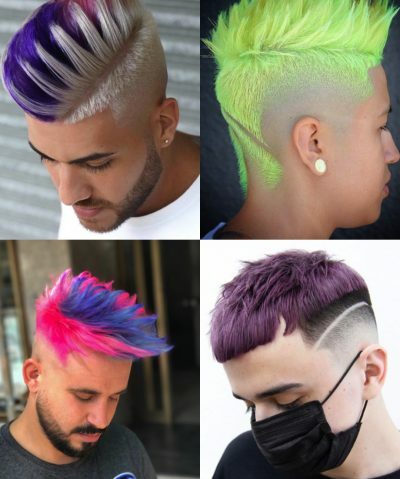 But – how to know which type of fade to go for – since there are tons of different fade types to choose from? Don’t worry – we’ve been through it ourselves, so we’ll be happy to help a brother out! 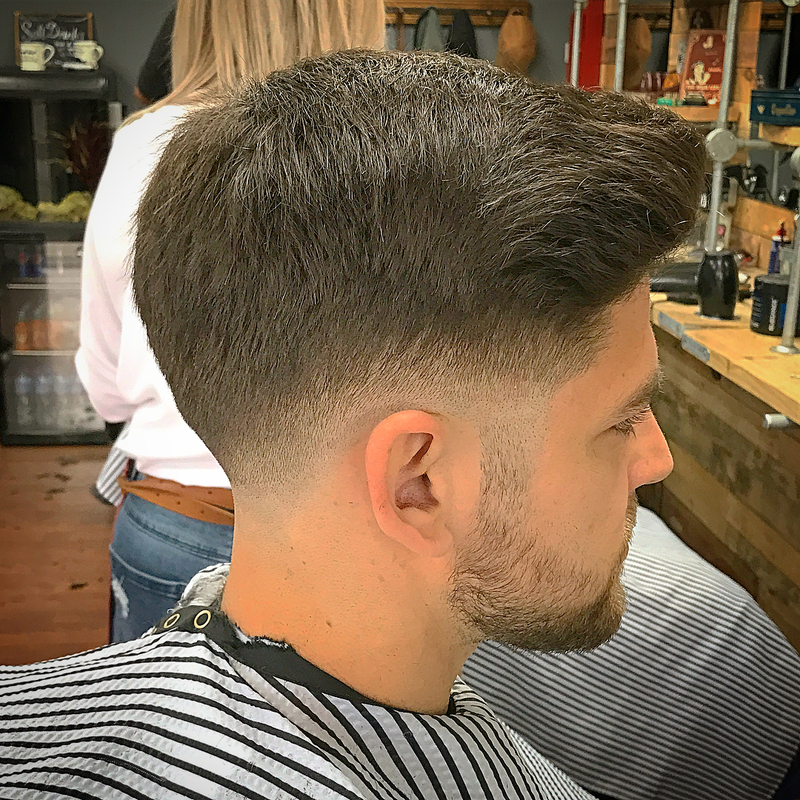 Let’s take a look at these 15 different types of fades, so that you know exactly what’s right for you the next time you rock up at the barber’s. 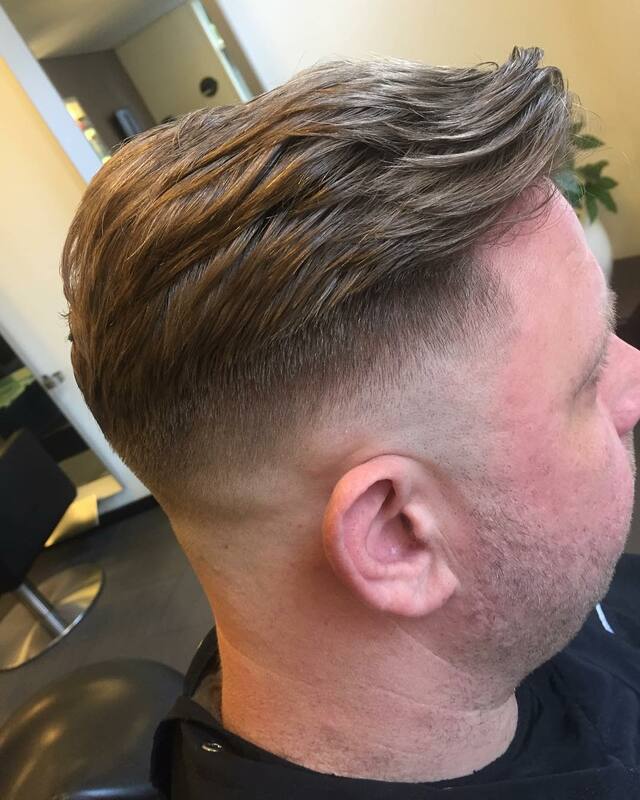 This is a cool, unique low fade with a sharp design that creates successfully creates impact. The only thing to bear in mind is that it’ll require some maintenance on the sides – but we think the look is worth it! 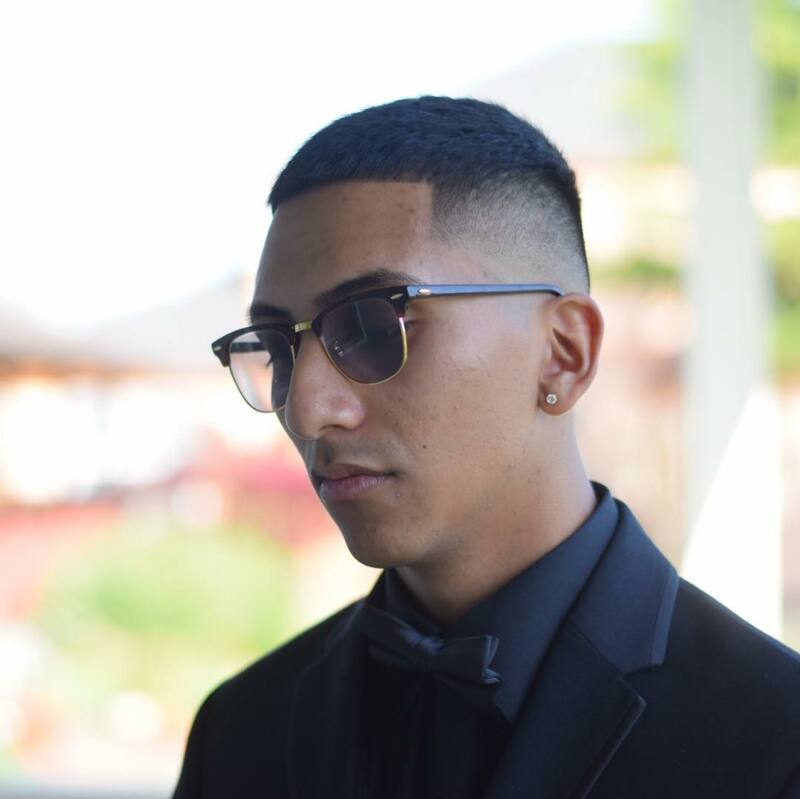 If you’d like a fade to jazz up your hairstyle, go for this simple yet classy fade with an edge up (aka shape-up). 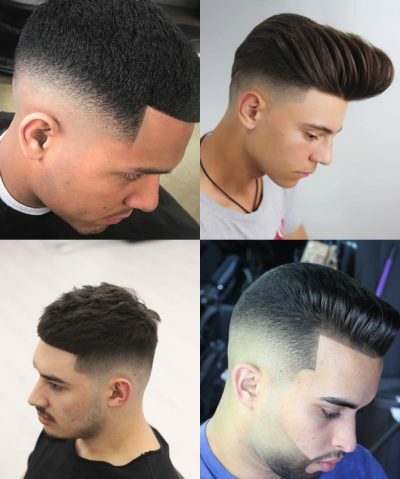 If you’re not familiar with these terms, an edge-up/ shape-up refers to a form of hairstyle that involves cutting along the natural hairline. As you can probably tell – it’ll give you a cooler, edgier look. A great option for those looking to have less hair – and for extending time between haircuts. 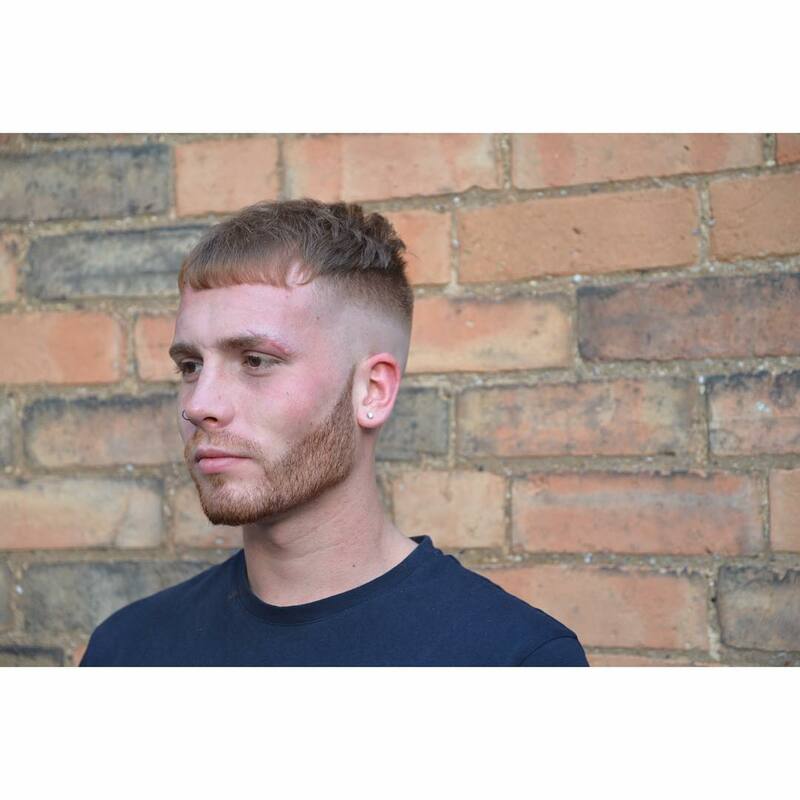 The bald fade is rising in its popularity – and essentially is a type of fade that cuts hair down to the skin. It’s great for someone who has always loved the idea of shaving it all off – but would rather still have some hair on top. 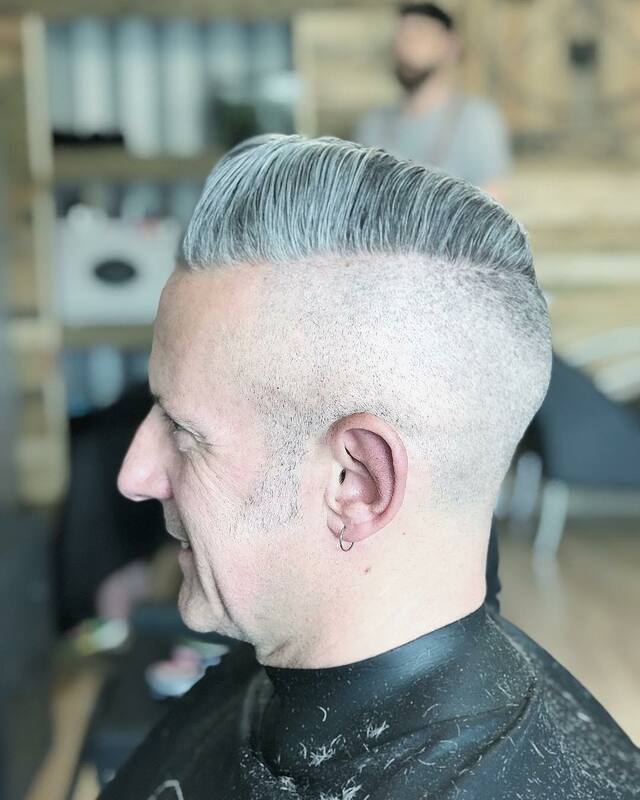 Another example of a cool bald fade (also referred to as skin fade) – only this one is all about the texture of the hair on top. To recreate the look, you’ll need some medium-hold pomade or styling crème. 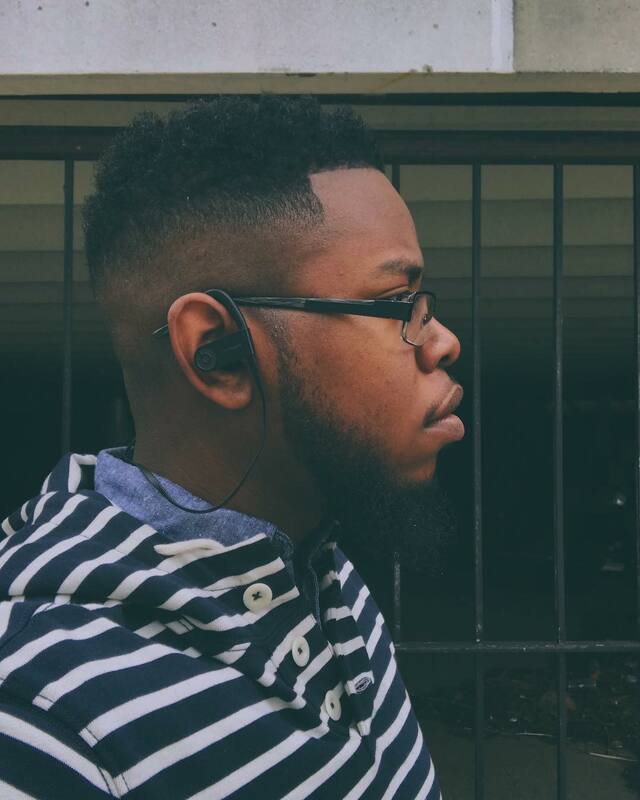 Like we said – all hair types will be able to pull off the fade. Whether your hair is short, long, straight curly or afro – you’ll find a fade haircut to suit your style and vibes! 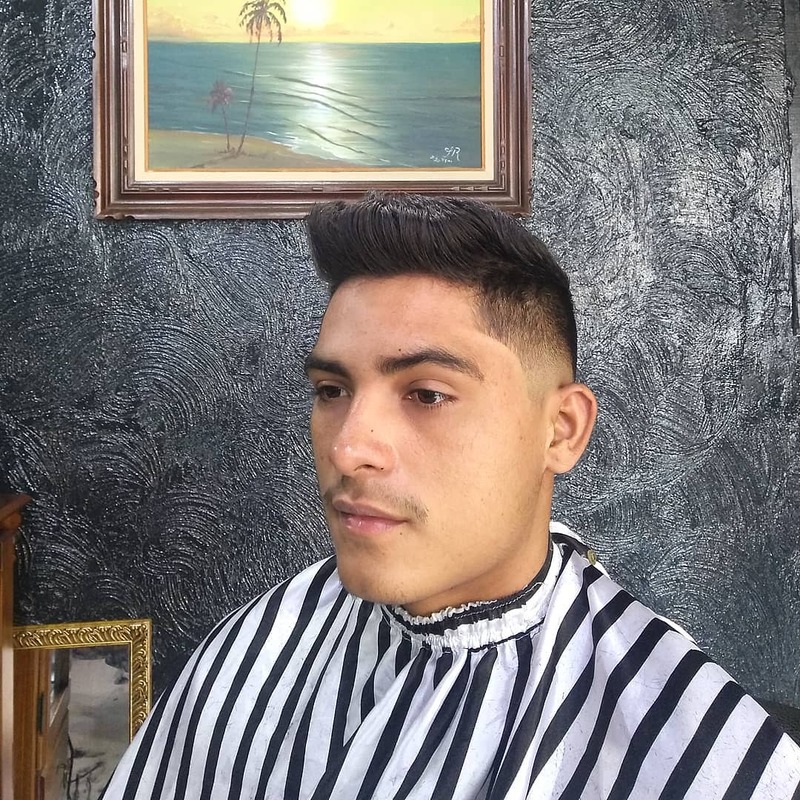 Nice and easy – a skin fade on medium-length hair. 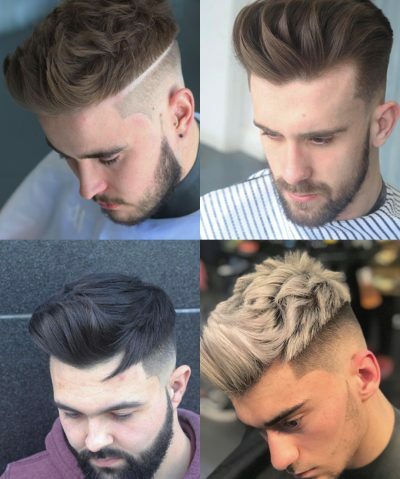 You may not want to give up your locks – but you’re just so tempted to try out the fade…this is when you should try the skin fade for medium length hair. This look we really, really dig. Why? 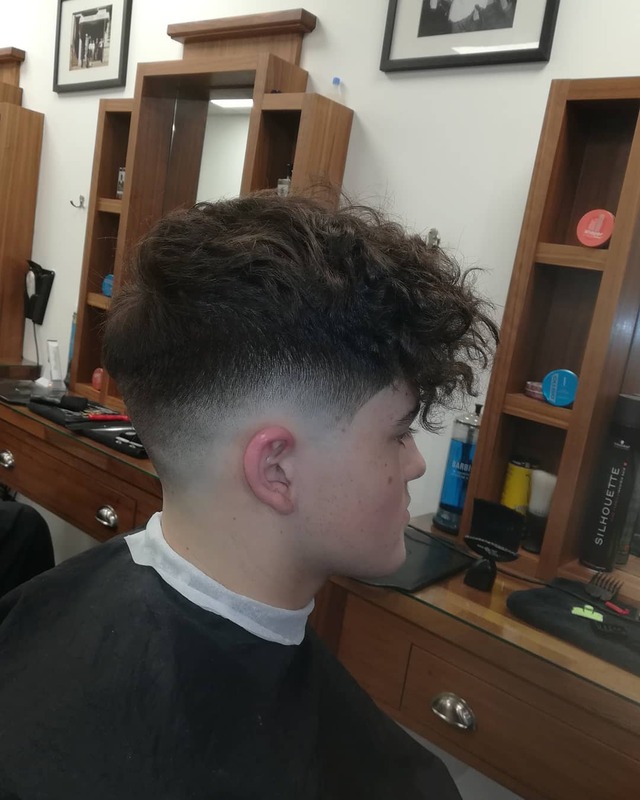 Because it manages to save the volume of the hair while giving it a cool, tidy low fade, which adds a touch of modern edge. You know what giving up hair on the sides means? That you get a green light for an awesome, voluminous beard! Without the fade, the amount of hair may be somewhat overwhelming, but not when the sides are neatly trimmed. 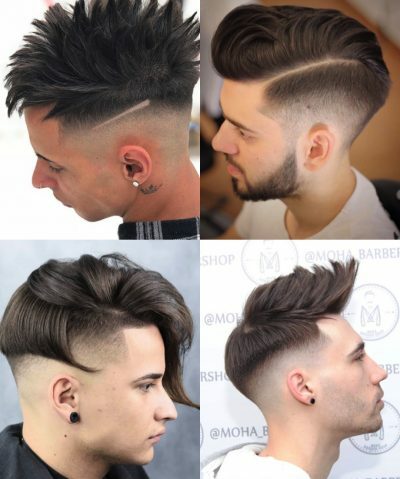 If you’re a short-haired chap, who loves a trendy, Elvis-inspired quiff but wants to try a fade – then how about merging these two hairstyles together? We think they work perfectly, don’t you? Curly heads out there – time to make your lives a little easier! 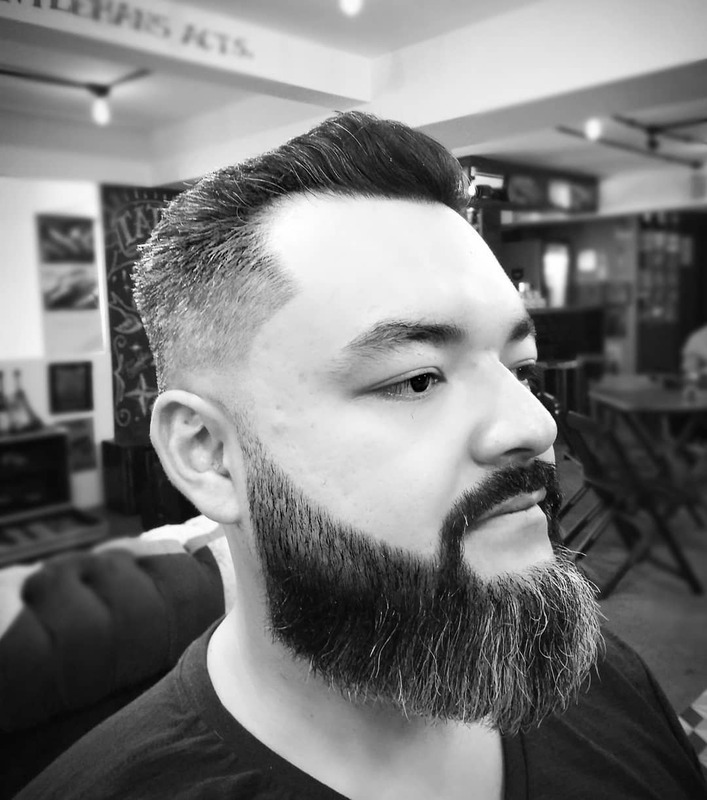 If you struggle with hair maintenance every day – and would rather chop it all off than face your brush, then getting a skin fade may be just the right choice for you. Not a fan of messy? 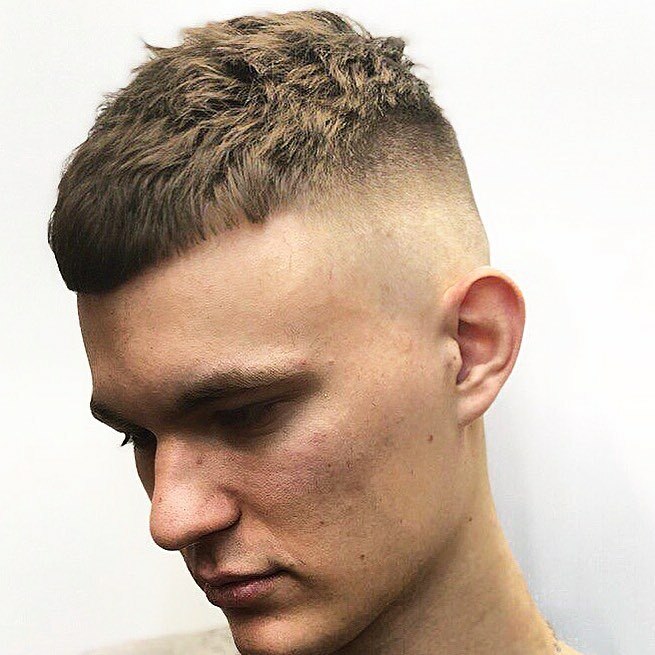 Then how about this neat and tidy mid-fade haircut with a smooth, glossy top. It’ll be ideal for someone who has medium or long hair – and who isn’t put off by the idea of buying some anti-frizz serum. So simple, yet so sophisticated. This hairstyle is super classy and easy to style – and it’ll keep you cool in the hot months (always a bonus!). If you’re tired of your existing cut, try this refreshingly different hairstyle. 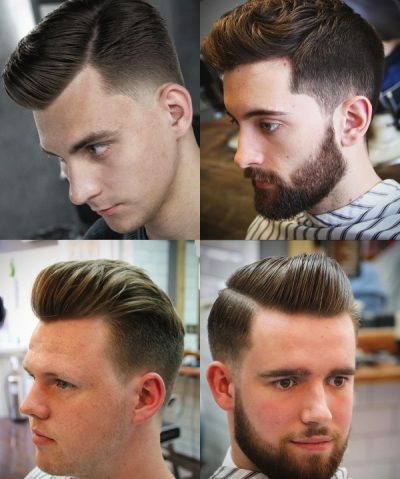 It’s a mix of a couple of styles – dapper and fade – and is defined by a slicked back top. Very simple – yet stands out, as it almost looks like a refined mohawk! There’s nothing better, we think, than creating a look fusion. 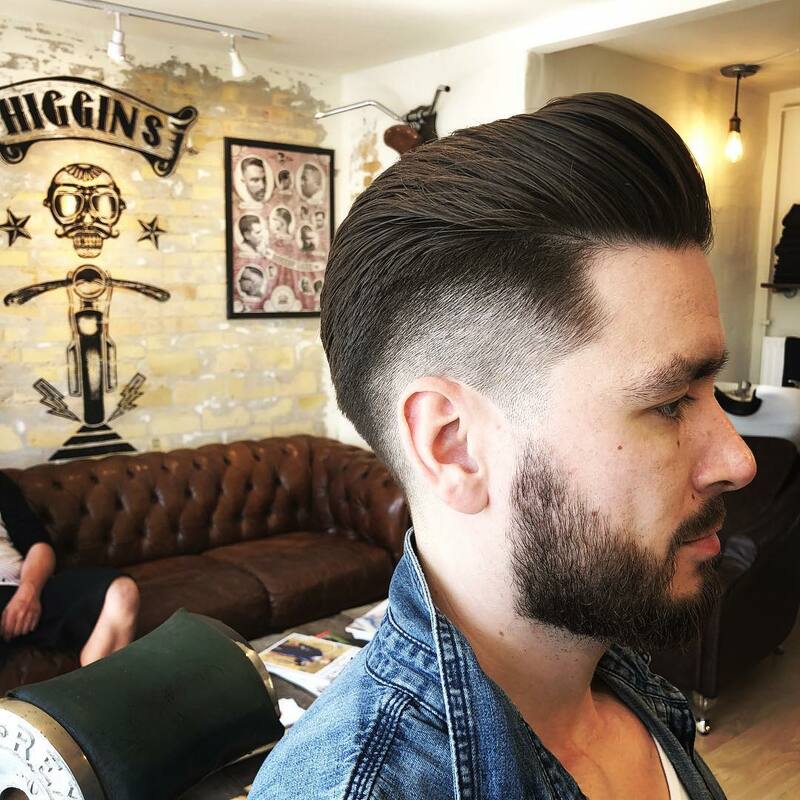 Take the pompadour, for example, a beloved hairstyle from the 60s, and combine it with a cool mid-fade – and you’ve got yourself a hairstyle that is bound to be a head-turner. 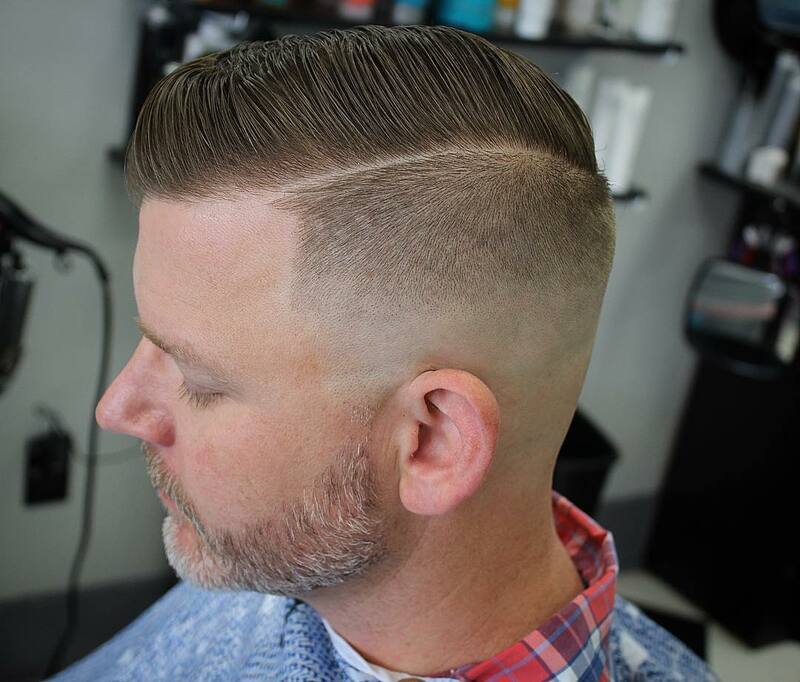 If you’re a man who likes his clothes and hair neat – then the Side Part fade and you should pair up. 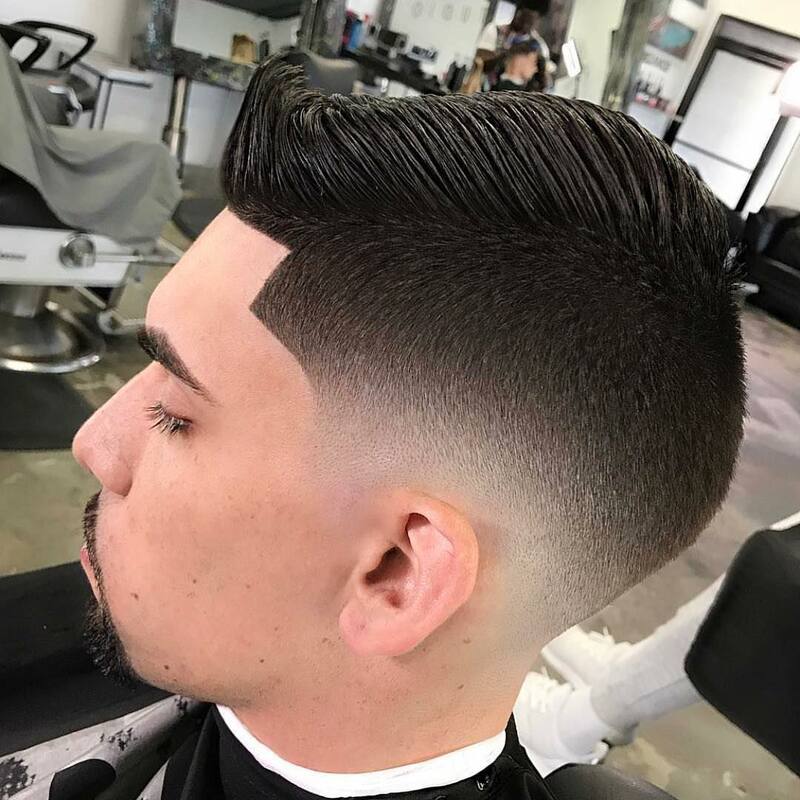 One of the most classy hairstyles for men, a Side Part will look nice and neat with any texture or length. That’s probably why it has survived the test of time and is still around!